From Brown Trout we go to Coho Salmon. 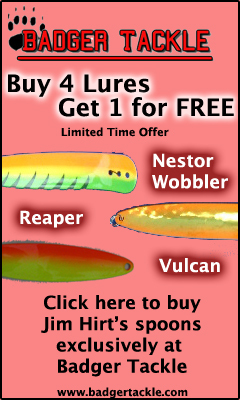 This article will point out and explain what has worked for me over 25 years of fishing. In my opinion Coho are the most predictable of all salmon species. Activity and habits of fish are dictated by many variables. 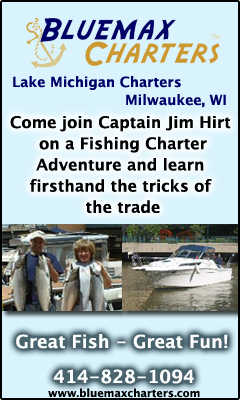 Get on board and allow me to share some tricks for Coho with you. 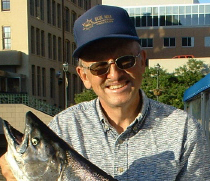 Now let’s look at Coho Salmon as it applies to Lake Michigan and other big water ecosystems. Get caught up by reading article number one titled Busting Spring Brown Trout Milwaukee. This information you may find necessary to understand the following article. The principal types of forage for all game fish in Lake Michigan are the Alewife and Goby. Look for pods of forage for consistent action. I have caught Coho at all depths all season long. Don’t make the mistake of not running tackle for them, but they do require a different approach.